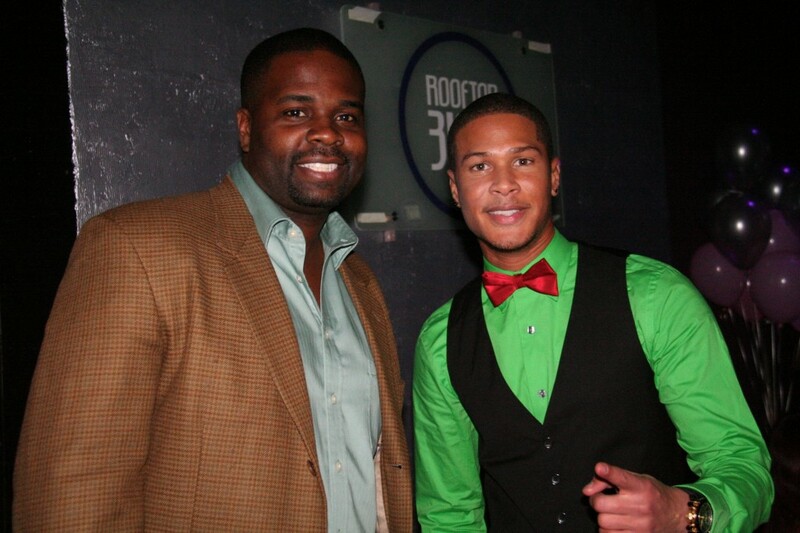 *Najee De-Tiege, the “Blue Ranger” of “Power Rangers Samurai” was spreading a little holiday cheer at Rooftop 3100’s Annual Toy Drive in Los Angeles and shared a little about his career, how he landed his gig and what he’s got going on for the holidays. I don’t feel like I could ever go back to working a regular job. Now I’m in this industry and it’s like sink or swim. I want to surf and go all the way. How did you end up as the Blue Power Ranger. It was five call backs. The producer was really, really cool. The fifth call back I was in court to get rid of all of my tickets just in case I was going to get booked to go to New Zealand, that’s where it shoots. So I was screaming on the phone. After that I went and packed for New Zealand. Another action role. A really cool role like Mission Impossible. It’s fast pace and the acting is intense. What do you do around the holidays? Every year is different. Every holiday is different. I like to spend it with people I care about. The holidays are really about relaxing with people you care about.